The story of how I started my hard wood floor installation business. I was exposed to a labor job at a early age. I started working as a hardwood installer with my dad when I was about 16 years old. The job was very hard and my body would hurt for many days after completing only one job. We worked for a company as subcontractors. My dad spoke little English and I did not know better than to keep my head down and do what I was supposed to. Over the years I learned many things, I learned how to measure and give estimates. I learned how to give estimates to customers...and I also met many people that were in the flooring business just like me. At age eighteen I remember my knee was hurting really bad and I though to myself "there has got to be a better way". So...I started contracting for myself without the company. 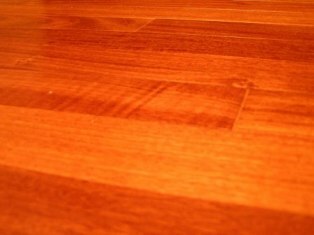 Slowly I started to meet people around my neighborhood...and I offered them hard wood floor installation. It was still very hard labor but it pay a lot more than what the company paid me. Only people that lived in my neighborhood or people that were relatively close to me were calling me. I was still a hardwood installer, but I was making really good money at that point. I made enough money to start things. I started to advertise my hard wood floor installation business on forums and write blogs, then I made flyers and handed them out. Finally I offered money for referrals which worked the best. The business grew stronger and I was forced to purchase a second van so me and my dad would split up. I had also made enough money to start looking for a place to open my small business. I found a nice little space about 10 miles from my house which I rented. I set up the place, which was very cheap, because a flooring business does not cost much to set up. At that point started to advertise a lot stronger and attracted many people...and even some builders. I had to go out to my old company and call people who I knew to start working for me. Today I own my own hard wood floor installation business with 12 different groups working for me. I am very successful at what I do, most importantly I have pulled myself and my dad out of a road that was leading to nowhere.